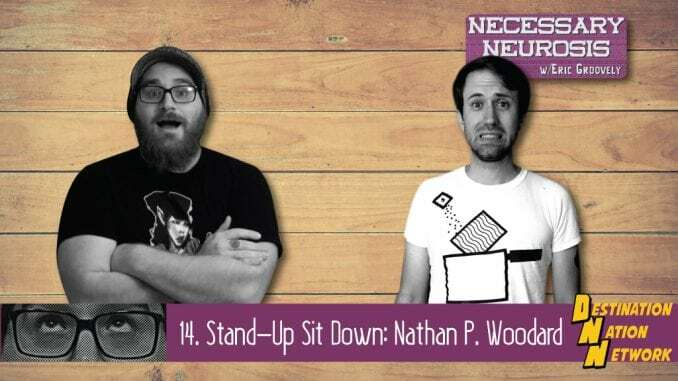 Eric is joined by comedian Nathan P. Woodard (host, Up Late with Oliver) to talk about comedy, growing up religious, and rediscovering yourself after divorce. Y’know, funny stuff! Huzzah!